I’ve been on the road, travelling full time, for eight months now. Over that time, I’ve seen a great deal of Australia. I’ve been road tripping since March 2017. For me, the intent of this road trip was to either rediscover places I’d been before and spend a little more time exploring them more or, to discover them for the first time. These places were initially on what I would call my Living List. It’s what others would call a Bucket List. 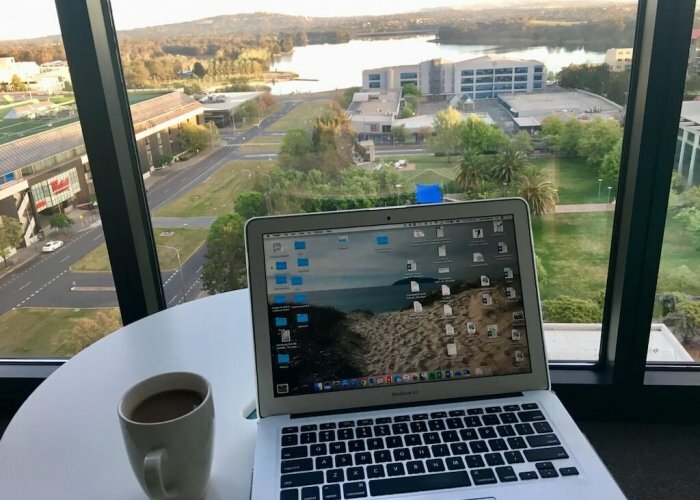 Nomadic Working in Belconnen, ACT. I hate the term, Bucket List. I mean, I’m not dying. At least not today. 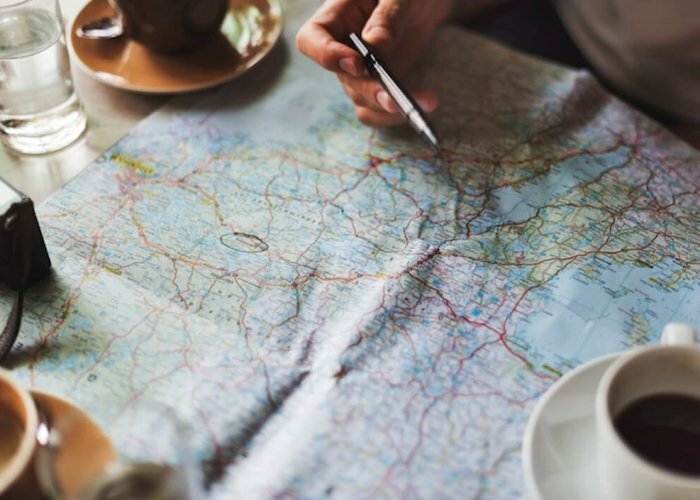 I know all too well how short life is – too damn short for my liking – and for these places to be on this list, it’s because these are places I’ve dreamed of seeing my entire life. But now I’m actually living my life and I’m finally seeing these places I’m dreamed of for … well, forever. 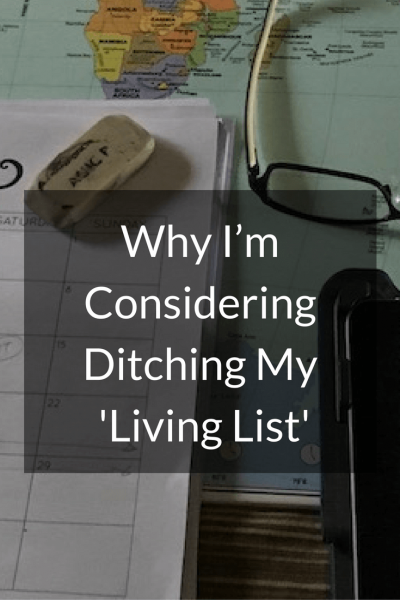 So why am I considering ditching my Living List? I’ve realised that a list is limiting. It limits you from seeing other amazing places that you may not have heard of before because you’re so focused on checking things off the list. What I’ve inevitably discovered over the course of this road trip is a new mantra: ‘Where does this go?’. It works really well with my old mantra “Try Something New”. With this new mantra, I’ve discovered some amazing places I would never have discovered otherwise. 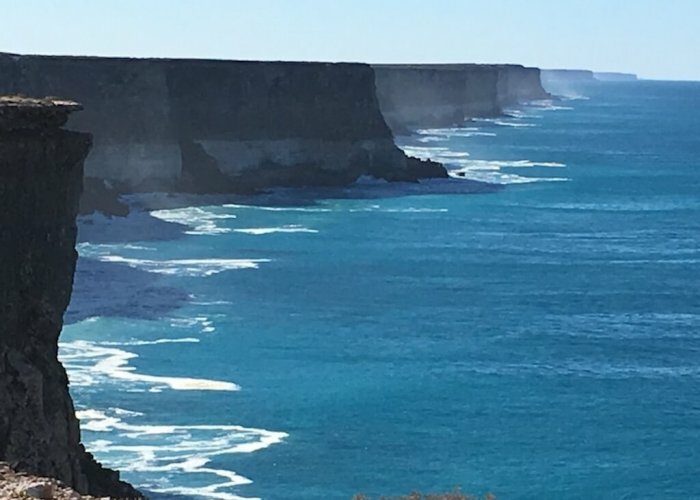 Like the dirt track just off the Eyre Highway which took me out to the Bunda Cliffs, part of the Great Australian Bight. Being a little more ‘off the beaten track’ and not part of the official lookouts along the highway, there were some amazing views to be found. At a couple of hundred metres tall, these cliff-faces stood tall, ruggedly plunging into the depths of the Southern Ocean below. And spectacularly, they seemingly went on forever. Or, by stopping at the blowhole at Doo Town (yep, it’s a real place), on the way back from Port Arthur in Tasmania. I walked just a little further up the track to the lookout, where I found the raw cliff-faces with nesting birds everywhere. It was a breathtakingly beautiful sight to see. 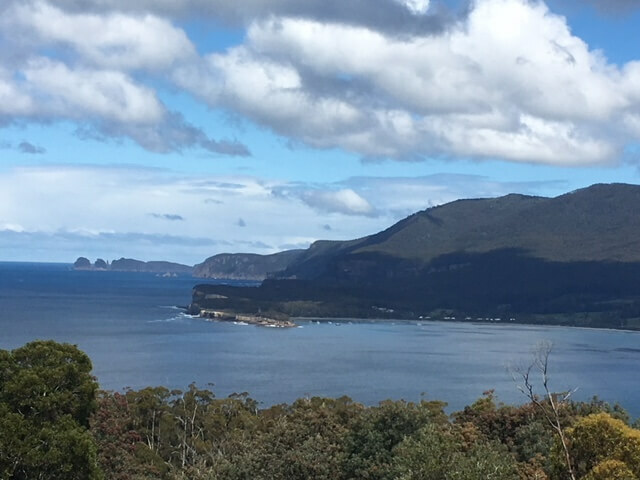 A fellow traveller and I compared the views to the Great Ocean Road. We both agreed that these views took the top vote and what people should see instead of wasting their money on the Great Ocean Road in Victoria! 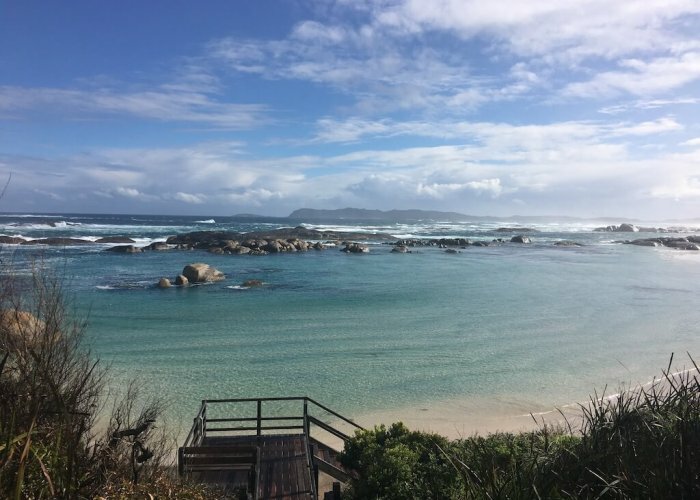 Tasmania is just as accessible and spectacularly more beautiful! Or the moment when I sat on a bench at Wilson’s Promontory, coming back along the track from Squeaky Beach. I saw a juvenile humpback making its way gracefully through the water. He rose from the water at one point and I felt as if he’d looked me in the eye as if to say, ‘come on, let’s go!’. I followed him around the headland to where a number of other spectators had just ‘discovered’ him. Knowing where he’d come from, I felt the connection to him, as if he and I had a secret with our prior discovery of each other. And then there was Greens Pool. Oh, Greens Pool. A place I’d never even heard of until I made it to Denmark in Western Australia. I even made a point to stop at Greens on the way back to the east coast, because it had such an impact on me on that initial visit. I felt connected to the place, deep in my soul and I felt pulled to return. It wasn’t really ‘on the way’ back, not really, but I made a point of making it so. These are discoveries would not have been found if I’d stuck to a list. I am not an A to B traveller. I like the bits in between. As much as I groan when I say this, I enjoy the journey. I don’t want to just get there and say ‘been there, done that’. I am not that type of traveller. I want to see what’s along the way. To see what else I can discover. There are so many places to discover in between. I can’t help but think of my plan in April 2018 when I walk the Camino from the south of France to Santiago in Spain. I’ve not ventured to the southern side of France in my travels yet and there are places I’ve read about, seen in movies, heard about, that I’m itching to discover before I start my walking journey. And then there’s after I’m done walking the 800 km from S. Jean Pied de Port to Santiago. I know there is more of Spain to discover. Grenada for example. And not to forget Guggenheim Museum Bilbao, created by the amazing Frank (architecture is my whacky weakness. I can pin it back to my high school art lessons and the million essays I had to write). If I kept my Living List updated with all of the places I’m learning about along the way, I would never get to any of them. It would be too overwhelming. I know in my heart the places I want to explore, but I’ve now seen many that were on my initial list: Rome, Venice, Paris, London, New York , and some of those multiple times now. As I get older, all that is changing too. Now I want to wander through beautiful countryside. I want to gaze upon the Northern Lights. I want to see nature at it’s very best. Not just bustling cities, although those are pretty cool too. So, I may ditch the physical list and keep the list in my heart of those ‘must do’ experiences. That way, I’m less overwhelmed and I can travel with more flexibility, following my heart as I go. I think the nomad in me craves flexibility. I want to be able to grab my bag, pick a place and explore to my heart’s content, without a timeline or commitment to be anywhere else. As much as I am a control freak (yes, I wholeheartedly admit it) and a planner, I’ve realised along the way that while lists keep you organised, they can also restrict you too. In fact, I think I’m less of a planner than I was a year ago. It’s silly to say that “as soon as you check x off the list, you will be successful/accomplished/productive”. What if you do something on that list and think ‘well, that was a waste of time’. Or ‘I wish I’d done y or z instead’! What if it’s because you were so focused on the list that you missed out on an amazing opportunity? I was reading a great book last night, called “unWorking” (which was far from what it was actually about). It was really inspiring, especially where I am in my life right now. However, when I got to the part about writing out your vision and your goals and where you see yourself in five years, I sat back and thought “nope”. Seriously. I used to hate asking that question ‘where do you see yourself in five years?’ in interviews when I was a manager. It is the question human resources always insist managers ask in interviews. It’s the silliest question to ask really. Who really knows where they will be in five years? In my humble opinion, those who do know are either super ambitious and tend to be a ladder climber – someone I wouldn’t want on any team, thanks very much – OR they have studied how to answer interview questions on the internet, in order to deliver exactly what the interviewer wants to hear – and I don’t want that person on my team either! It’s really a dumb question because it focuses your attention on the future, not on the present. I certainly didn’t imagine being here five years ago, especially the part of travelling for eight months throughout Australia. In fact, Australia wasn’t even part of my dream trip five years ago. For me, it was the place I would finally settle after travelling the world. And really, isn’t it restricting to have a plan that far out? Five years is a long time. 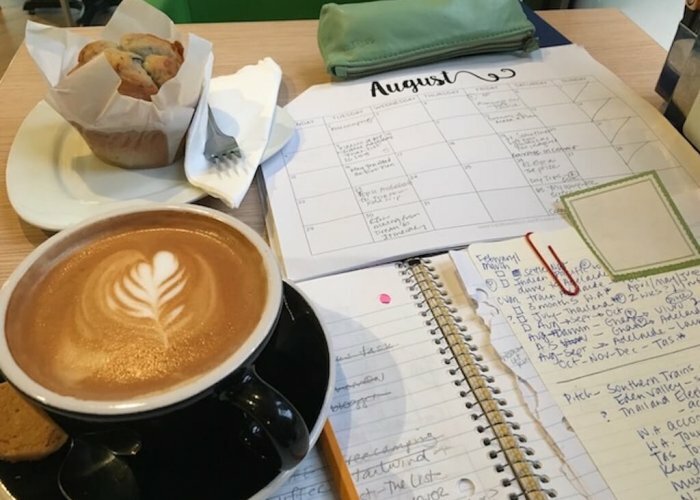 Sure, it’s great to have goals and dreams, but how about writing them out for, let’s say, a year. Where do I want to be in a year? Hmm… Italy? Writing my next novel? That’s why I hate lists. They are tie you down. Maybe there’s a better plan, a better place, a better restaurant, a better adventure to have. I say, toss the list and go with your gut. I think that is a great plan: Yes. Go with your gut. Why not tell me what you think of ‘Bucket Lists? Comment below. Thanks Joanne. I’m very excited, if not a little anxious, about the journey, but I believe in my soul it is what I need to do. I feel as if the Camino is calling me. I am trying not to over read, over analyse or over research the pilgrimage, but rather let the Camino work it’s magic on me. I’m glad to hear you’re a better, more relaxed person for it, as I that is the outcome I wish for. Whenever I read that someone has walked or is planning to walk the Camino de Santiago I get excited. I’ve been fortunate to have walked two different routes and am a better more relaxed person for it. Buen Camino.